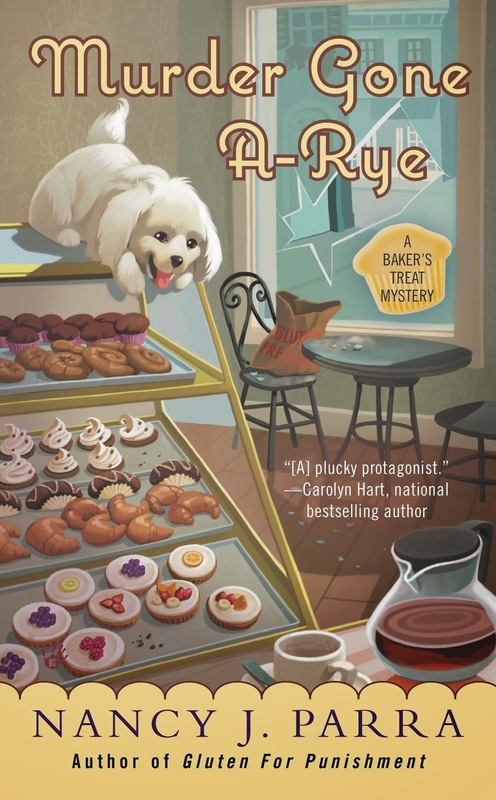 When Toni's beloved--and eccentric--grandma, Ruth, is arrested for the murder of her archenemy, Lois Striker, it's time for a senior moment of truth. Telltale tracks from a scooter like the one Grandma Ruth rides leads the police to suspect the outspoken oldster, but Toni knows her grandmother wouldn't burn a cookie, let alone extinguish a life. I could go on and on about how I love this series because it spotlights celiac disease, something I myself live with and struggle with daily. But I have to say not only do I enjoy it for that reason, but Grandma Ruth's character is phenomenal. I love her no-holds-barred attitude and her zest for life and for justice. Of course, I love Toni's character, but her grandmother is a force to be reckoned with. Never one to let anyone stop her, not even her granddaughter, Grandma Ruth is determined to clear her name and solve some deep town secrets at the same time at no matter what the cost. I enjoyed reading this one from page one until the very end. I can't wait to see what Toni and her oh-so eccentric grandmother get themselves into next. I was left guessing who the murder was until near the very end. I had a good idea going into the last part of the book and while I was wrong, I was close. I like that the author make someone seem so obvious and then did a little twist and changed the whole outcome of the mystery. Those are the types of books that keep bringing this reader back for more. I would have enjoyed seeing more of the actual murder investigation versus the discovering of the town's secrets. Not a bad thing, but this book did tend to focus less on the murder and more on the history of the town. Still it was an enjoyable read and I know that I will continue with the series as I think the author has created some quite remarkable characters and I can't wait to see what trouble they brew up next.